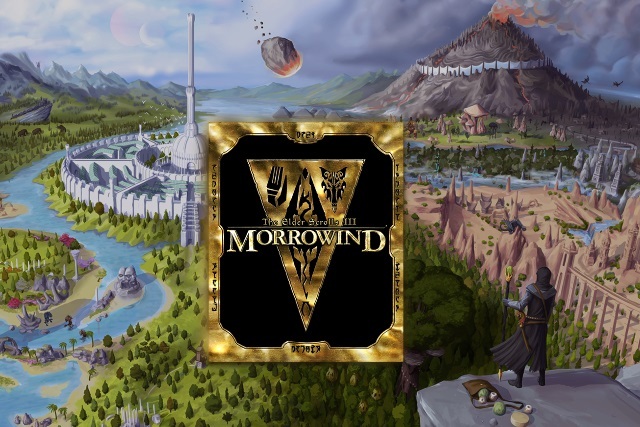 Download yourself a free copy of The Elder Scrolls III: Morrowind right now! There are some gaming franchises that have some serious staying power, and Elder Scrolls is one with longevity. The series has been around for an incredible 25 years now, and gaming behemoth Bethesda has a treat for you to help celebrate. To mark the quarter-century landmark, the company is giving away free copies of The Elder Scrolls III: Morrowind to anyone who fancies delving into the world of Tamriel. The special offer was only meant to be available yesterday, 25 March (to coincide with the anniversary of the birth of Elder Scrolls), but now Bethesda has extended the giveaway until the end of the month -- but you still need to act fast! The prospect of getting such a seminal game free of charge obviously created a great deal of interest, and it seems as though Bethesda struggled to cope with demand. There were numerous reports of people being unable to log into their accounts yesterday to take advantage of the offer. Not wanting gamers to miss out, Bethesda has now extended the offer until March 31. The celebrations don't end there, however. Bethesda is also making The Elder Scrolls Online free to play between March 28 and April 3.